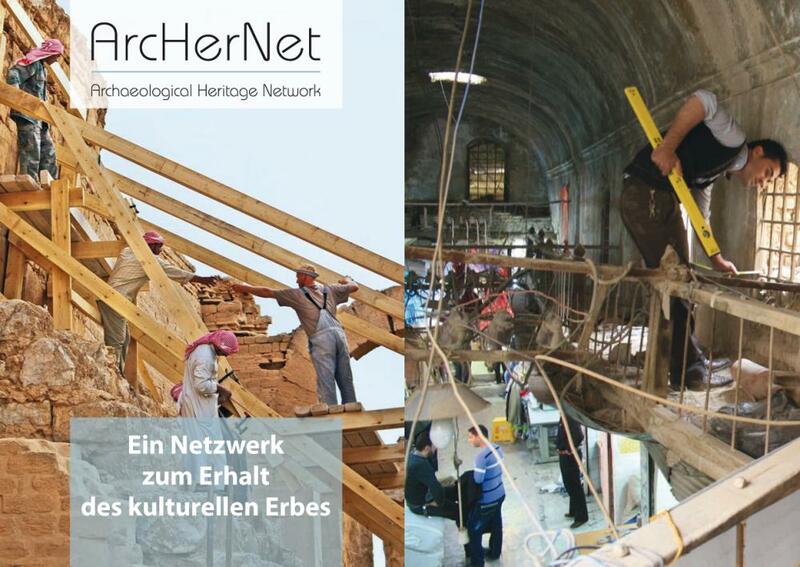 These measures, conducted under the umbrella of the Archaeological Heritage Network – ArcHerNet and „Stunde Null – A Future for the Time after the Crisis“, was implemented to support the protection and restoration of cultural heritage in the war-damaged cities of the Middle East. 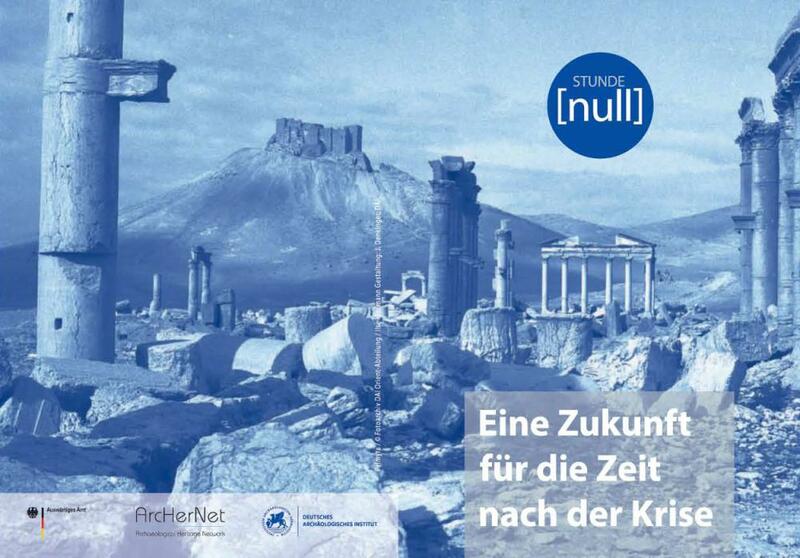 The project “Stunde Null – A Future for the Time after the Crisis” is the first joint project conducted by the members of the Archaeological Heritage Network. It is financed by the Federal Foreign office and was founded in 2016. Its aim is to procure capacities and foundations in crisis-ridden countries for the time after the crisis. Unlocking informations, which are key to the preperation of reconstruction measures are a fundamental module of “Stunde Null – A Future for the Time after the Crisis”. 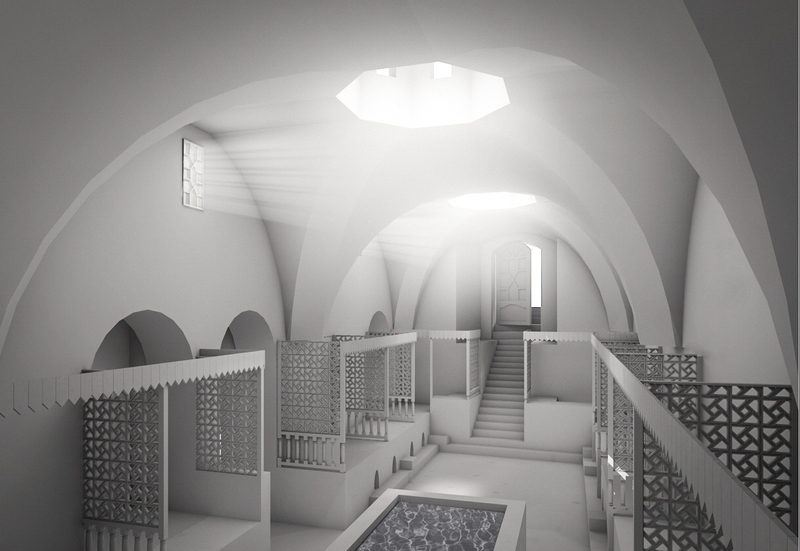 The digital 3D-model of the Aleppo bazaar serves as a cultural heritag measure and supports the establishment of a group of experts and young professionals. 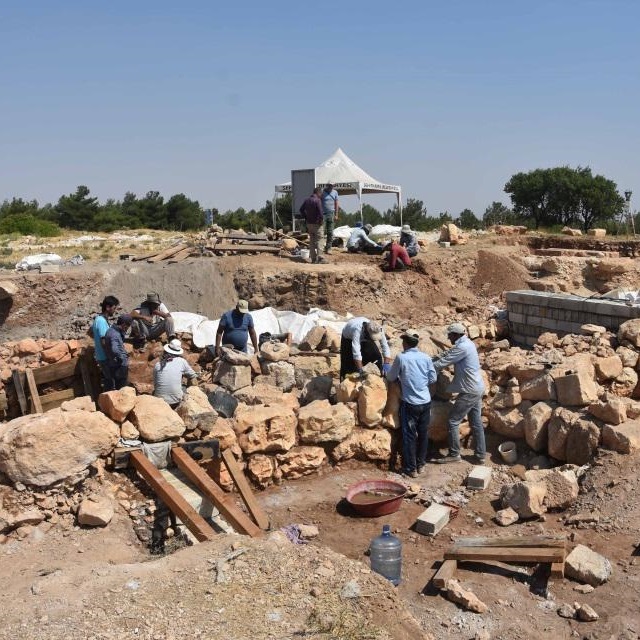 The two-year training programme Stewards of Cultural Heritage is adressed to Syrian experts (archaeologists, architects and conservators), who fled to Turkey. The programme is financed by “Stunde Null”; the trainees are supported by the Gerda Henkel Foundation. 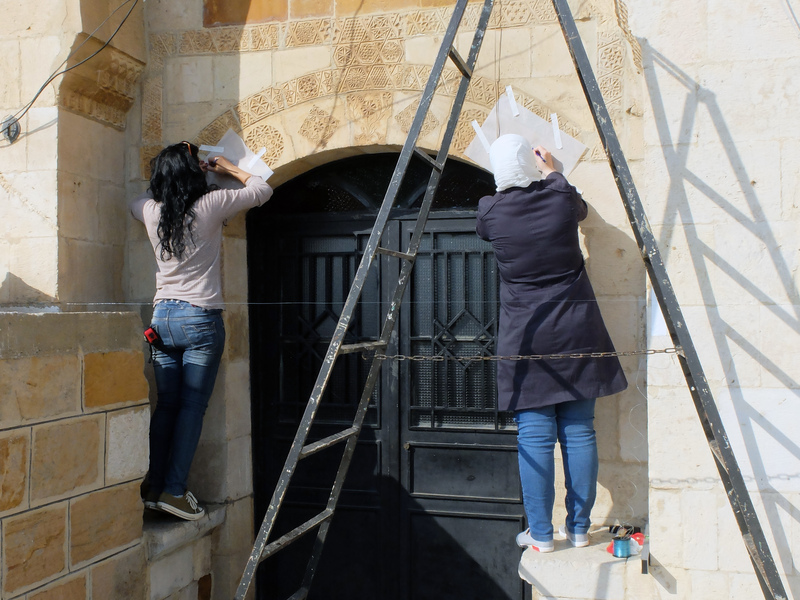 The measure is conducted in the framework of “Stunde Null” is coordinated by DAI in cooperation with the project „Emergency Safeguarding of the Syrian Cultural Heritage“ of the UNESCO Field Office Beirut and the Arab Center for Architecture in Beirut. 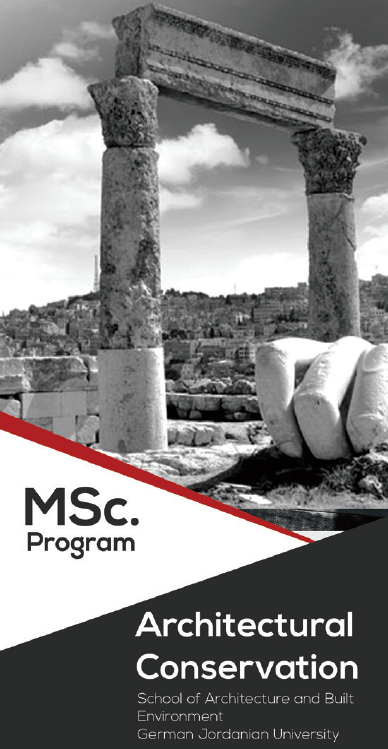 The master programme „Architectural Conservation“ at German Jordanian University in Amman was implemented in 2016. 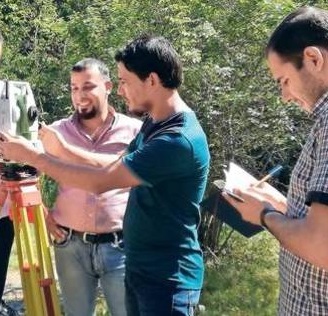 The course of study enables Jordanian students and Syrian refugees to acquire an academic qualification in the fields of building research, preservation of historical monuments and cultural heritage. 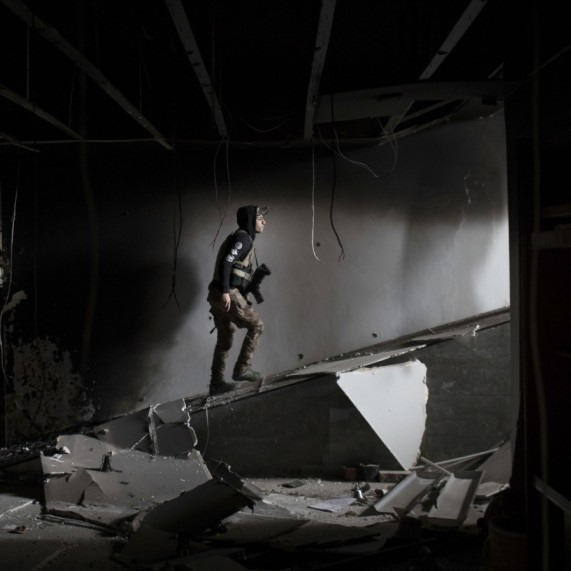 Considering the immense challenges of cultural heritage protection and preservation in conflict regions, it is of great importance to ensure the education of young trained specialists in a timely fashion. This is the aim of the Joint Master „Heritage Conservation and Site Management“ at BTU Cottbus-Senftenberg in cooperation with Helwan University (Cairo), which are supported by the German Archaeological Institute and the Egyptian Supreme Council of Antiquities. The Colloquium „Guidelines on Safeguarding Cultural Significance of Urban Structures Damaged by Armed Conflict“ took place between 30 June and 2 July at BTU Cottbus-Senftenberg. The colloquium was conducted in the framework of “Stunde Null – A Future for the Time after the Crisis”. 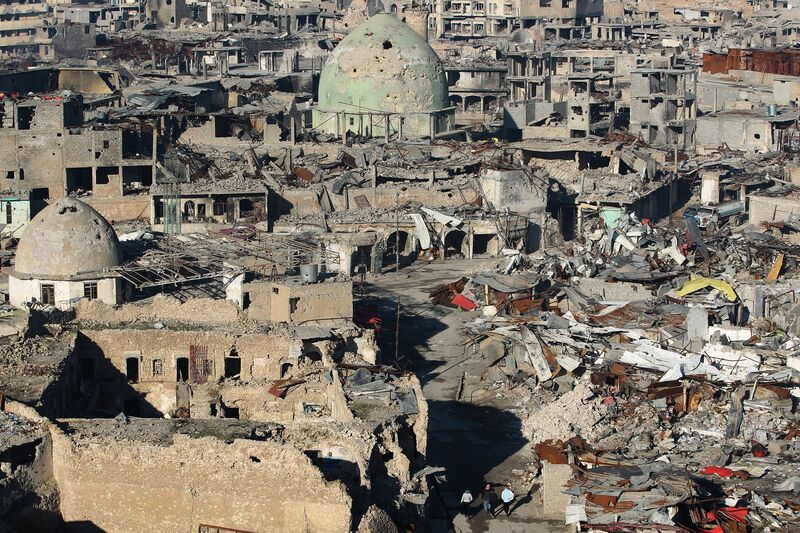 International experts discussed specific recommended actions for a sensible handling of war-damaged historic cities. Gadara, modern Umm Qays, is one of the most important cultural monuments of Jordan. 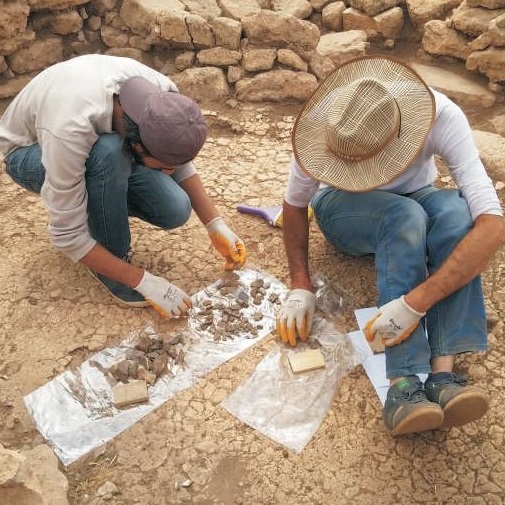 Since many years the German Archaeological Institute is active in Gadara, persuing scientific research and answering questions considering the spatial connections within the town and its embedment in the surrounding area. 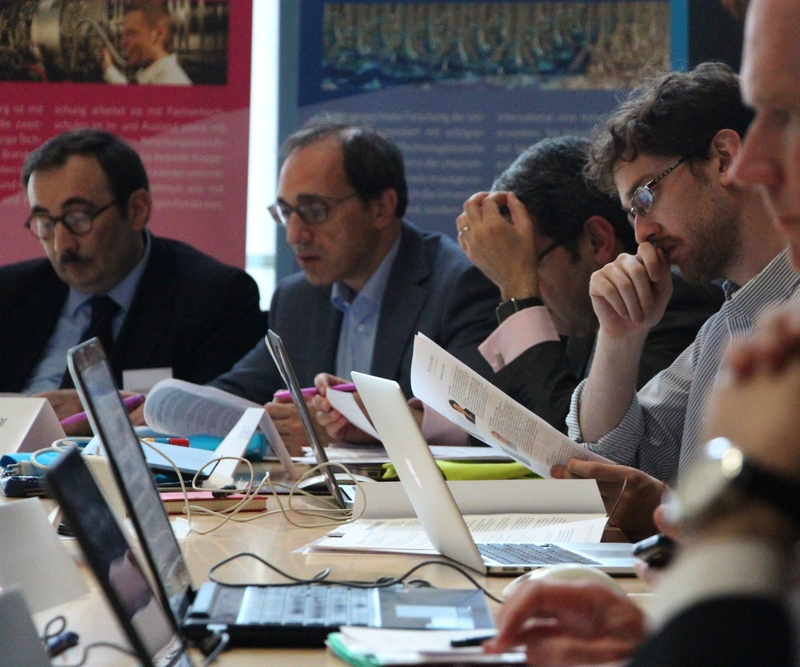 Since 2010 intensive initiatives regarding the mediation of cultural and natural heritage are taking place. At the German Archaeological Institute the “Iraqi-German Summer Programme” is conducted since several years. The programme is adressed to students and practitioners and is conducted in collaboration with academic and non academic partners. 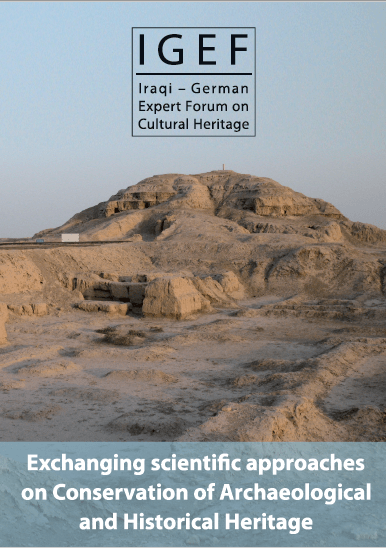 Due to the great demand the programme is being expanded to a German-Iraqi Center for the training of cultural heritage experts. 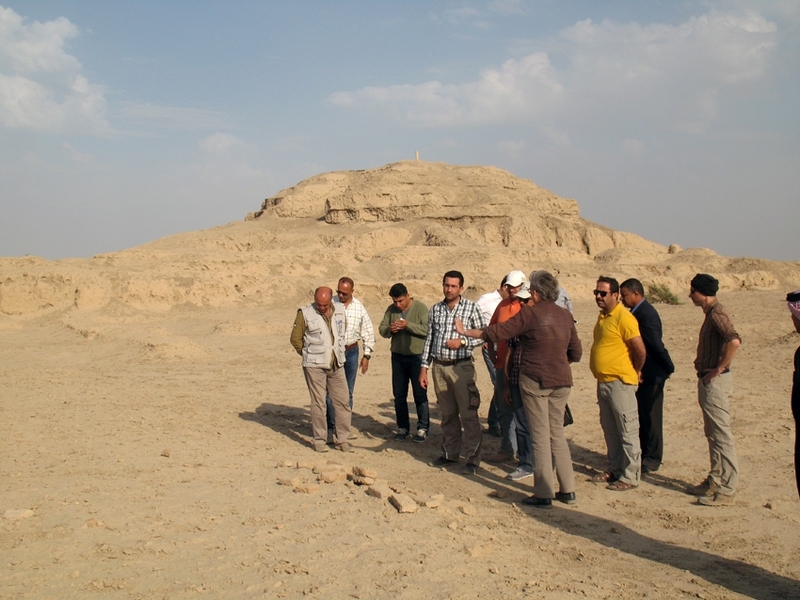 The training programme is adressed to young professionals (archaeologists, architects) of the Iraqi antiquity service. 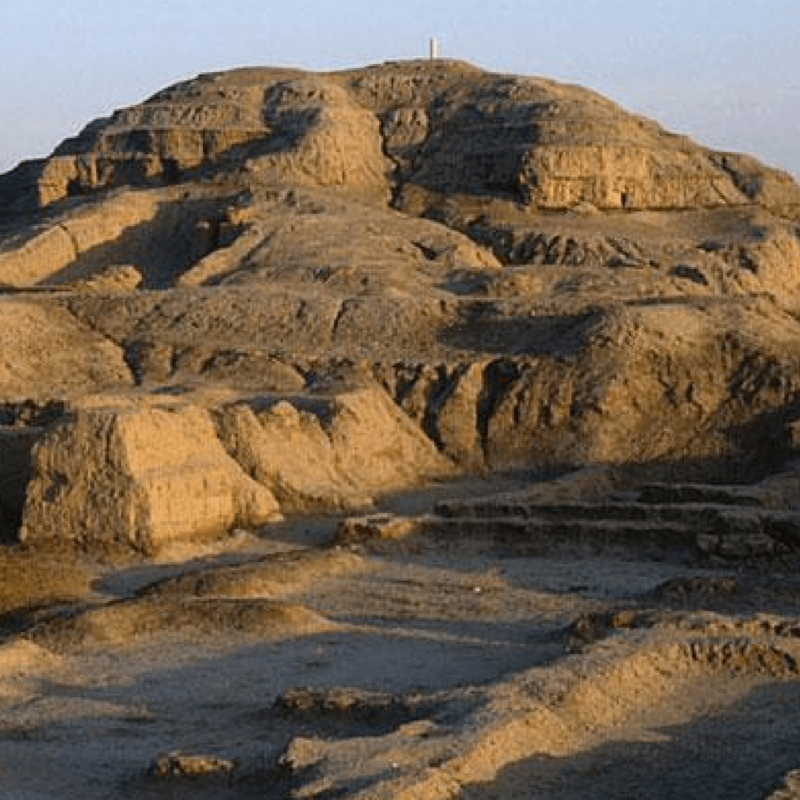 The programme is coordinated and organised in south Iraq by the Bagdad office of the Orient Department at the German Archaeological Institute. Aim of the training course is the practical implementation of theoretical knowledge on the example of important monuments in Jordan. The trainings are supported by “Stunde Null – A Future for the Time after the Crisis” and are adressed to Jordanian students and Syrian students, living in Jordan. The trainings are implemented at the University of Jordan (JU) and the German Jordanian University (GJU). The measures defined within the “Stunde Null – A Future for the Time after the Crisis” project are implemented by the IT-office of DAI in cooperation with the UNESCO Beirut Field Office. They are based on the pool of information of the Syrian Heritage Archive Project (SHAP), a joint project of the “Museum für Islamische Kunst” (SMP-SPK) and DAI, as a essential foundation for every form of damage assessment and planing work to prepare reconstruction work and the protection of cultural heritage. 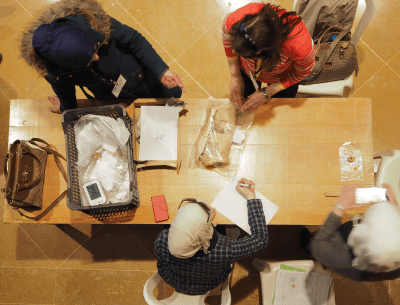 In February 2018 University of Applied Sciences Berlin (HTW-Berlin) offered a 5-day training course for Syrian conservators and museums staff in cooperation with the UNESCO Field Office Beirut. The programme includes basic preventive conservation techniques, as there are packing, transport and storage exercises. Furthermore, it offers documentation and monitoring skills, all with a specific focus on evacuated collections. 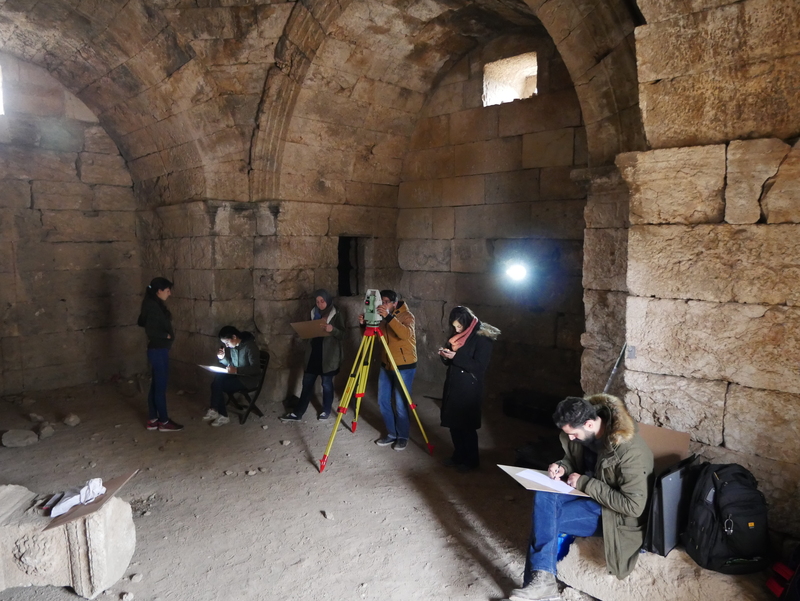 The training programme regarding architectural preservation and the presentation of archaeological architecture was conducted in the framework of “Stunde Null – A Future for the Time after the Crisis” from 2016 to 2018. The training course on how to make making a documentary film as part of the project “Stunde Null – A Future for the Time after the Crisis” aims to teach the documentary film techniques used for the mediation of issues such as cultural heritage, archaeological research and preservation. 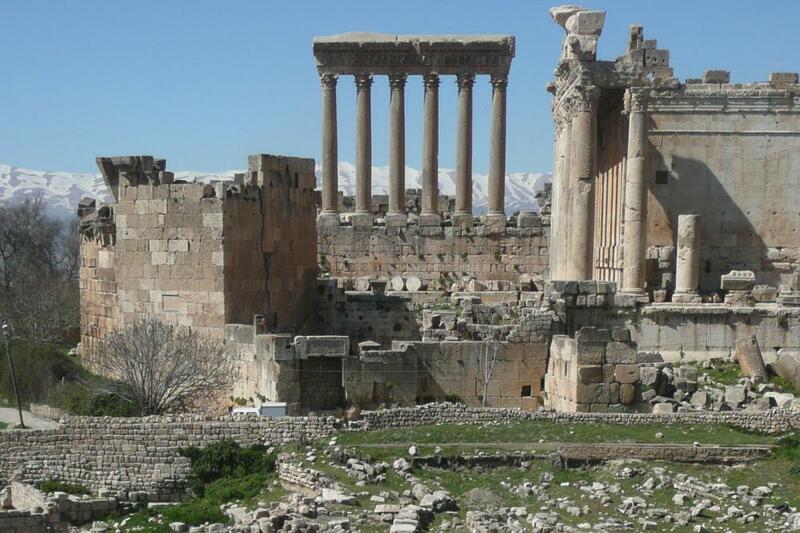 In Baalbek (Lebanon), Syrian refugees and local trainees, guided by Lebanese and German experts made a documentary film about the archaeological site and current preservation measures. In Uruk (Iraq) training was provided for Iraqi trainees by Iraqi and German experts. 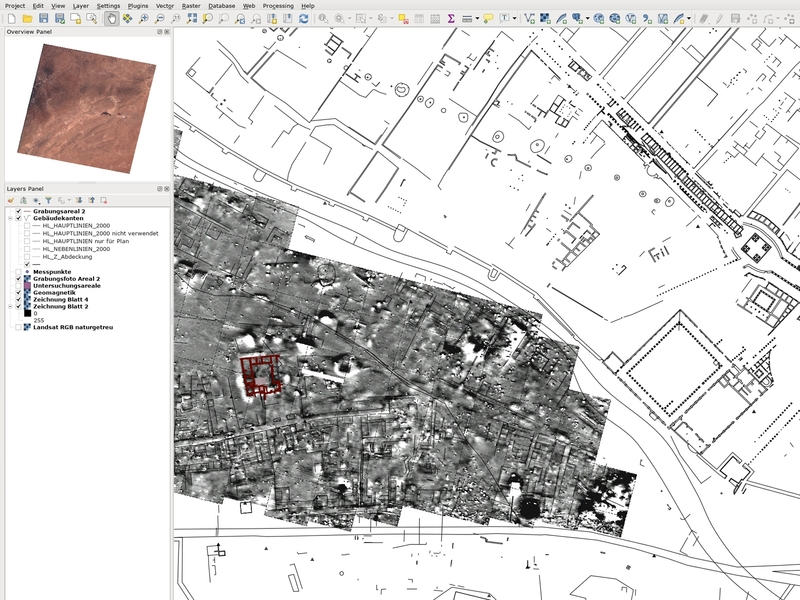 The project related to damage assessment builds directly upon the existing important archive data bank of the Syrian Heritage Archive Projects (SHAP), a cooperation project between the Berlin Museum of Islamic Art and the German Archaeological Institute, which made it possible to digitise, since autumn 2013, over 120,000 photographs, plans and maps of Syrian cultural objects funded by the German Federal Foreign Office. Syrian and international academics have now joined forces in order to enlarge the Syrian Heritage Archive Project to include a central module. If you like to learn more about the activities of our network or have questions please get in touch with us. Terrorismus, Naturkatastrophen oder Klimawandel – unser kulturelles Erbe ist vielerlei Bedrohungen ausgesetzt. Wie können wir Kulturgüter besser schützen und vor Zerstörung bewahren? Eine Konferenz in Berlin sucht nach Lösungsansätzen. Klimawandel, Kriege, aber auch Mega-Städte bedrohen das kulturelle Erbe weltweit. Die Archäologin Friederike Fless spricht über Möglichkeiten und Grenzen, Kulturgut weltweit zu schützen. Junge Archäologen und Architekten aus Syrien helfen beim Wiederaufbau ihrer historischen Stätten. Syrische Architekten und Denkmalschützer bereiten sich in Istanbul auf das Ende des Krieges vor – und entwickeln Strategien für den Wiederaufbau des Kulturerbes ihres Heimatlandes. Seit acht Jahren tobt in Syrien der Bürgerkrieg, das Land liegt in Trümmern, große Teile des Kulturerbes sind zerstört. Doch bereits jetzt planen engagierte Syrer den Wiederaufbau der Kulturstätten. Das Projekt Stewards of Cultural Heritage unterstützt fünf Stipendiaten bei ihren Bemühungen. Als Leiterin der Ausgrabung Uruk/Warka in Irak hat Dr. van Ess Einblick in die Situation gefährdeter Kulturstätten der Region. 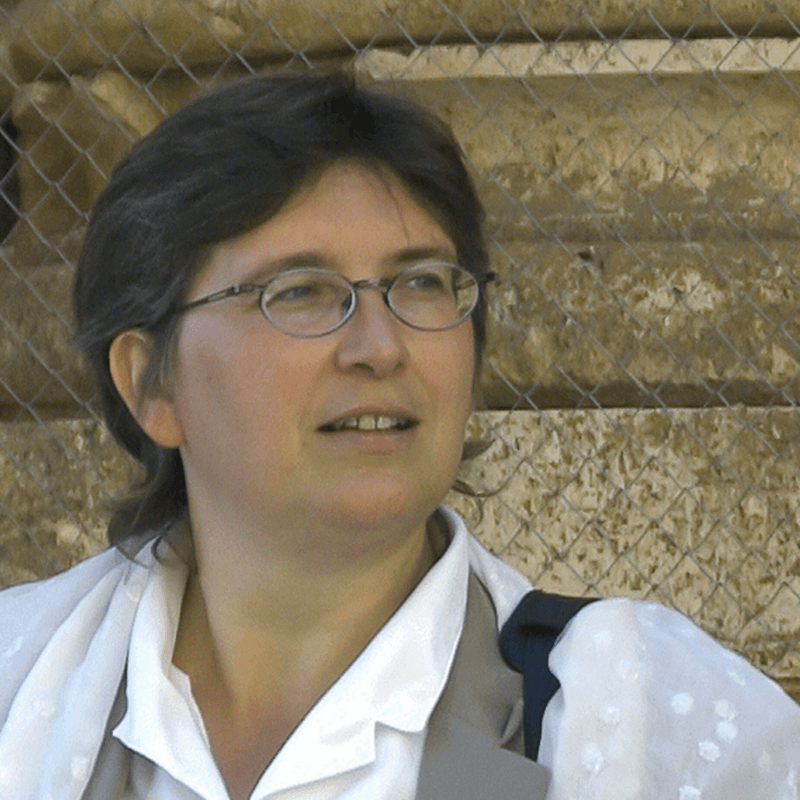 Im Rahmen des Archaeological Heritage Network leitet Dr. Margarete van Ess Projekte des Kulturerhalts. Kaum beachtet von der Weltöffentlichkeit, verheert der Bürgerkrieg das zuvor schon blutarme Jemen. Er zerstört nicht nur die Lebensgrundlage der Menschen, sondern führt auch zu einem unwiederbringlichen Verlust des kulturellen Erbes. Wie kann Syrien nach dem Krieg wieder aufgebaut werden? Archäologen haben dazu jetzt in Berlin ein Netzwerk gegründet. Auch Bundesaußenminister Frank-Walter Steinmeier war dabei. 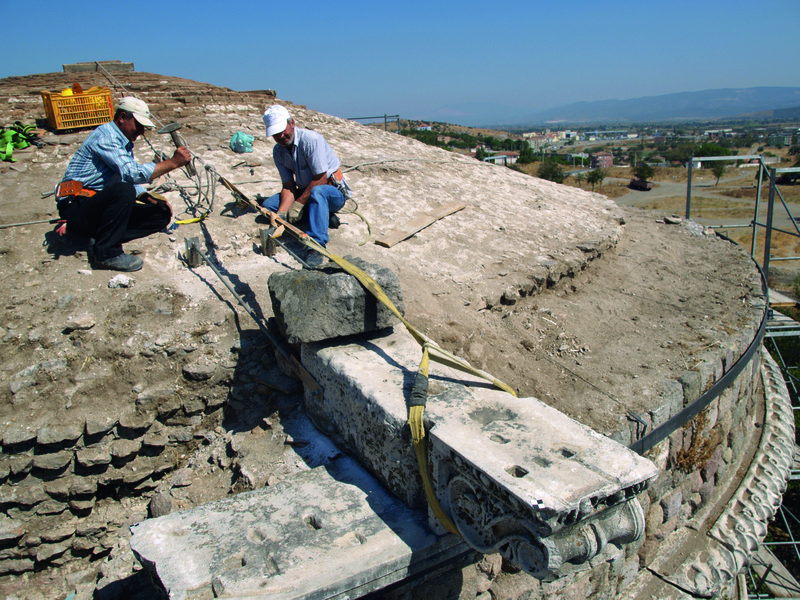 The “Archaeological Heritage Network” is a network of experts. It is not a new institution. The idea is rather to harness existing expertise and thereby to produce the necessary synergies. Multilateral projects are becoming ever more complex and require joint exertions, be it with regard to fundraising at international level or drawing greater attention to Germany’s involvement in this field. 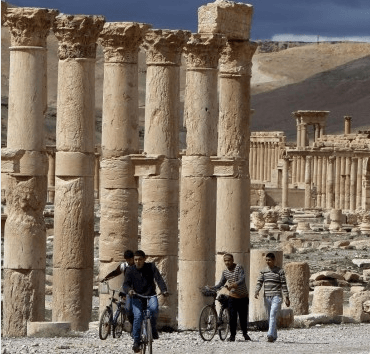 Cultural preservation as a topic has been gaining importance daily, not least due to the current situation in the Middle Eastern crisis zones. The aim is not solely to preserve, protect and restore priceless monuments, but also to boost the economy by creating jobs, and thereby to contribute to stabilisation in the host and partner countries. The discourse on national and cultural identities is increasing in complexity in a rapidly changing world. This has a knock on impact on decisions regarding the approaches that should be chosen and the priorities that should be set for the preservation of cultural heritage. Numerous specialists from the relevant international networks believe that a strong German Archaeological Heritage Network will have a positive influence on the development of sound cultural preservation concepts – which would in turn have a positive impact on research, teaching and training in Germany. With this in mind, it is vital to drive forward the development of this expertise. Only by so doing can we safeguard the basis for the successful preservation of mankind’s cultural heritage abroad. 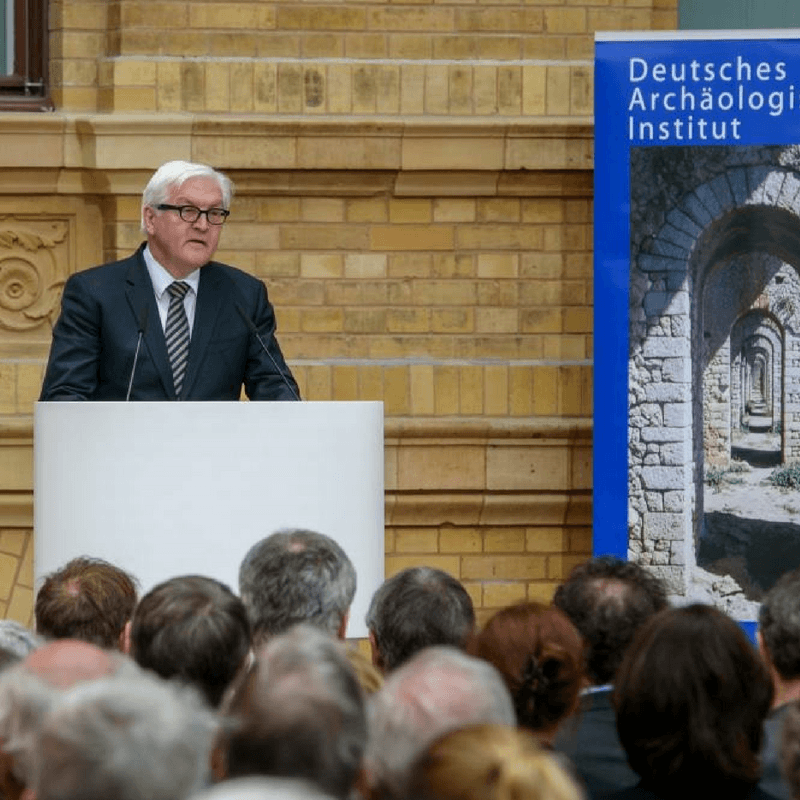 The Archaeological Heritage Network (ArcHerNet) was officially founded on April 27, 2016 in the presence of Foreign Minister Frank-Walter Steinmeier. 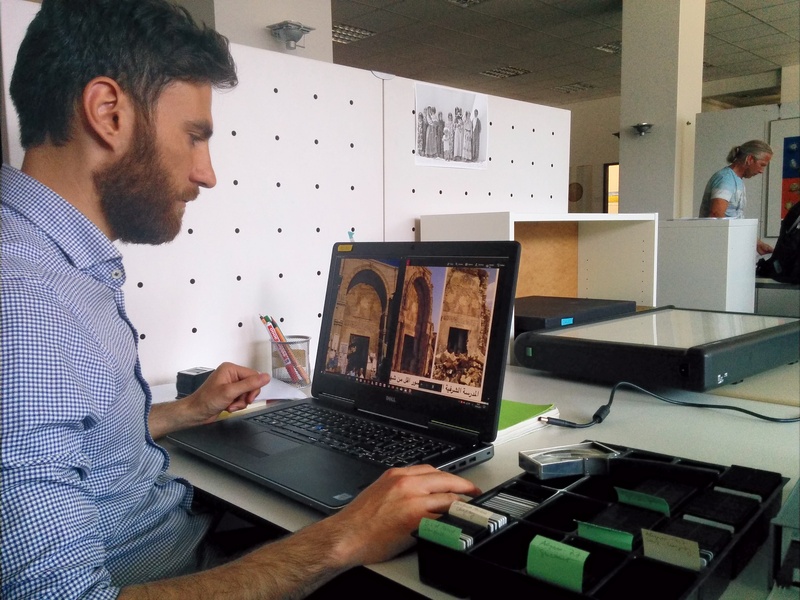 As a first of its kind the network bundles expertise in the cultural heritage sector abroad. The German Archaeological Institute coordinates the network. „Deutsche Stiftung Denkmalschutz“ is the largest private Initiative for the preservation of historic monuments in Germany. The foundation is dedicated to the nationwide preservation of endangered monuments of all kinds. The German UNESCO Comission was founded on 12 May 1950 – even before the accession of the Federal Republic of Germany to UNESCO on the July 11, 1951. The German Commission for UNESCO is Germany’s intermediary organization for multilateral politics in education, science, culture and communication. Its task is to advise the Federal Government, the Bundestag and the other competent authorities on all issues arising from the membership of the Federal Republic of Germany in UNESCO. The DUK is funded by the Federal Foreign Office. The DAAD is the world’s largest funding organization for the international exchange of students and scientists. The study programs on building research, conservation, site management or museology, which are funded by the DAAD and run jointly by universities in Germany, Egypt and Jordan, are to train for the future those experts who are required to make the right decisions in an “hour zero” and be able to act concretely and professionally. The DAAD, in cooperation with its partners British Council, Campus France and the Dutch EP-Nuffic, opens Syrian refugees in Turkey, Lebanon, Jordan, Iraq and Egypt access to education. In addition to language courses and short-term study places, more than 300 full scholarships are awarded in the region. Initially, 12 million euros will be available by 2019. The program is funded by the EU Trust Fund for Syria, the “Madad Fund”. The German Archaeological Institute is a research institute founded in Rome in 1829 and the only subordinate federal institution in the business area of the Federal Foreign Office. It has its seat in Berlin and is organisationally assigned to the working group culture preservation (AS-KE). Its tasks are scientific research in the field of archaeology and its neighbouring sciences, cultural preservation and protection of cultural heritage as well as promotion of young scientists and international scientific exchange. The DAI coordinates the Archaeological Heritage Network (ArcHerNet) on behalf of the Federal Foreign Office and is active worldwide in numerous measures in the area of capacity building and awareness raising. In Rome, Athens, Istanbul, Cairo, Madrid, Tehran, Sana’a, Baghdad, Damascus and Beijing, the DAI maintains overseas departments. In addition, there are the not permanently occupied departments Lisbon, Budapest and Ulaanbaatar as well as national departments in Berlin, Frankfurt, Munich and Bonn. The DAI sites, with their libraries and research archives, are major centers of international archaeological research. The DAI also conducts research in up to 350 projects worldwide. DAI presence is thus not limited to the countries in which foreign departments are maintained, but is reflected in a large number of countries in the form of projects and institutional cooperations with universities, monument offices and research institutions. A central component of the research infrastructure of the DAI is the DAI-IT (iDAI.welt) digital services available and usable worldwide. The DAI is also a global scholarly network, since its central directorate has chosen internationally important researchers and cooperation partners as corresponding members since its beginnings in the 19th century. Through its activities, the DAI promotes intercultural dialogue and promotes the understanding of identity and culture in a globalized world through perspectives on the past. Since its founding in 1973, the “Deutsche Nationalkomitee für Denkmalschutz” has been a roof at the federal level for the preservation of monuments. The Federal Government, states, municipalities, churches, specialist organizations, associations and private citizens’ initiatives work together in the German National Committee for the Preservation of Historic Monuments: a national interface and platform for the interests of the preservation of monuments and the preservation of archaeological and historical monuments as a cultural and social core task in Germany. As a technical and political body, the DNK significantly influences monument politics in Germany and is an interface between the scientific level, governments and administrations. The largest Berlin University of Applied Sciences offers a wide range of subjects with around 70 study programs in the fields of technology, computer science, business, culture and design. The HTW Berlin has many years of expertise in the protection of cultural assets with its degree programs Conservation and Restoration / Excavation Technique, Museology and Documentation as well as Landscape Archaeology. The Koldewey Society sees itself as an academy of scientific exchange for all areas of architectural history research right up to the 20th century. Its objectives are the promotion and implementation of projects in all areas of building research and excavation. The participation in matters relating to the preservation of art and monuments and the involvement of trained architects in such research in co-responsible leadership positions is key in work of the Koldewey Society, as well as trainings in the field of building research and the initiation and cultivation of international linkages and cooperations. The Technical University Aachen (RWTH) is one of the largest technical universities in Germany with around 43,000 students. At the Faculty of Architecture, a collaborative research field has set itself the task of contributing to the long-term safeguarding of cultural heritage, especially in times of forced urbanization. RWTH is also home to a UNESCO Chair for Urban and Cultural Landscapes in the World Heritage. The “Römisch-Germanische Zentralmuseum” (RGZM) is an international research institution for archaeology. On the basis of all available sources, it explores man and his actions in his natural and cultural environment, from the Palaeolithic to the Middle Ages. 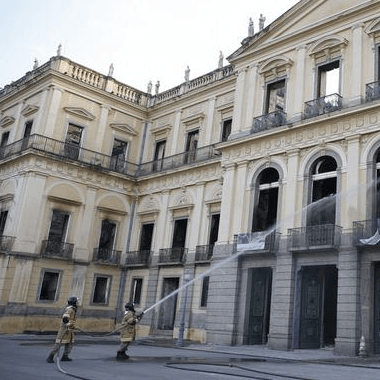 In doing so, it combines the humanities and natural sciences with the inclusion of its restoration expertise in an interdisciplinary approach. The RGZM is a research museum of the Leibniz Association and has a long tradition of training conservators in its major workshops. Under the umbrella of the “Stiftung Preußischer Kulturbesitz” among others the “Staatliche Museen Berlin” with their large collections as cultural archives and their extensive expertise in the field of mediation, restoration and conservation can be found. One of these museums is the Museum of Islamic Art. It is one of the most important and one of the oldest collections of its kind. The Museum of Islamic Art is one of the leading research institutions in its field and is involved in the areas of restoration, cultural heritage in the countries of origin, international cultural exchange and (inter-) cultural education in Germany. Friends of the Old City of Aleppo e.V. The “Vereinigung der Landesdenkmalpfleger” was founded in 1951 under the umbrella of the “Kultusministerkonferenz” (KMK) as a transnational association of the West German monument specialist authorities. The association of national state conservators was joined after 1989 by the conservation authorities of the federal states of Eastern Germany. For 200 years, it has been its task to preserve the historical heritage for future generations. The scientific registration of the building and art monuments began in 1870 with the monument inventory for the province of Hessen-Kassel. The first German Monument Day 1900 in Dresden was a milestone for Germany. The tradition of monuments days continues today with the annual meetings of the “Vereinigung der Landesdenkmalpfleger”. In 1899 the magazine „Die Denkmalpflege” was founded, which reports to this day on the work of preservation of monuments in the German federal states. III.Welche Informationen erfassen wir und zu welchem Zweck nutzen wir diese? Das Archaeological Heritage Network wird koordiniert vom Deutschen Archäologischen Institut (DAI). Das DAI ist eine Forschungseinrichtung im Geschäftsbereich des Auswärtigen Amtes der Bundesrepublik Deutschland. Es führt Forschungen auf dem Gebiet der Archäologie und ihrer Nachbarwissenschaften im In‐ und vor allem im Ausland durch. Die Forschungsergebnisse werden in zahlreichen Publikationen vorgelegt. Das Institut unterhält zudem Fachbibliotheken, Fototheken und Archive, die der internationalen wissenschaftlichen Gemeinschaft zur Verfügung stehen. Es pflegt intensive Beziehungen zu Fachwissenschaftlern in aller Welt und fördert den wissenschaftlichen Nachwuchs. Zum wissenschaftlichen Austausch veranstaltet das DAI Tagungen und informiert die Öffentlichkeit über seine Arbeit. Sobald Sie Ihren Browser beenden, werden diese sogenannten “Session-Cookies” gelöscht. Die Matomo-Cookies bleiben zwei Jahre gültig, wenn Sie diese nicht vorher löschen. Ihre Kontaktangaben verwenden wir ausschließlich für die Bearbeitung ihrer Anmeldung, den Versand bspw. von Einladungen, Informationen oder Berichten des DAI. Ihre Daten geben wir nicht an Dritte weiter. Sie haben das Recht, der Nutzung Ihrer Daten jederzeit zu widersprechen bzw. das Abonnement zu beenden, bzw. ihre Anmeldung zurückzuziehen. Ihre Daten werden daraufhin umgehend gelöscht. Sie können Ihre Kontaktdaten auch jederzeit ändern lassen. Das Abonnement des Newsletters und die Online-Anmeldung für Veranstaltungen ist zwingend mit der Einwilligung zur Datenverarbeitung verknüpft. Hier können Sie sich für die Teilnahme an der Archaeological Heritage Konferenz 2018 anmelden. Anmeldeschluss ist der ……2018. Ich bin damit einverstanden, dass die für die Organisation der Veranstaltung notwendigen personenbezogenen Daten maschinell bearbeitet und gespeichert werden. Prävention, Schutz und Post-Desaster-Rehabilitation. Die zweitägige Konferenz des Archaeological Heritage Network fokussiert diese drei Ansätze des Schutzes von Kulturerbe in unterschiedlichen Zerstörungsszenarien. Die Bedrohung des kulturellen Erbes durch bewaffnete Konflikte bleibt ein anhaltendes Problem. 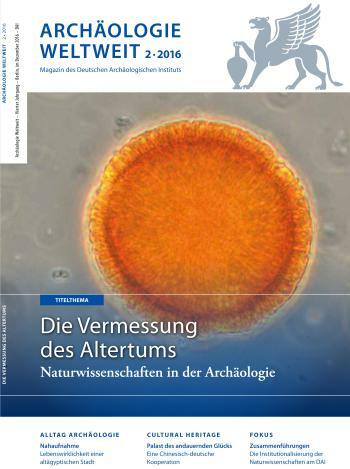 Naturkatastrophen gefährdeten in den vergangenen Jahren in großem Umfang Kulturerbe ebenso, wie Klimafolgen und infrastrukturelle Expansion. Welche Maßnahmen tragen präventiv zum Schutz des kulturellen Erbes bei? Welche Handlungsoptionen bleiben bestehen, wenn sich akute Zerstörungssituationen ereignen? Und was kann die internationale Gemeinschaft tun, um beschädigtes kulturelles Erbe wiederherzustellen? In internationaler Perspektive wird die Konferenz Antworten auf diese Fragen suchen. • Wissenschaftler und Experten des Kulturerbeschutzes aus Deutschland, Europa und der Welt. Das Projekt Stunde Null – Eine Zukunft für die Zeit nach der Krise geht auf eine Initiative des Deutschen Archäologischen Instituts zurück. Es wird vom Archaeological Heritage Network getragen und vom Auswärtigen Amt im Rahmen der Sondermittel “Flucht und Migration” gefördert und nachdrücklich vom Deutschen Bundestag unterstützt. Mit dem Stunde Null-Projekt ist keineswegs der Wiederaufbau angesprochen. Vielmehr geht es gezielt um Maßnahmen der Vorbereitung, die für Wiederaufbauprozesse in vielfältiger Weise notwendig sind: Es geht darum, prospektiv Capacity Building zu betreiben. Das bedeutet, Architekten, Handwerker und Restauratoren aus- oder Experten weiterzubilden, die fähig sind, den Wiederaufbau ihres ihres Landes, den Aufbau Syriens, in Zukunft umsetzen zu können. In diesem Sinne werden in Jordanien, dem Libanon und der Türkei Capacity Building-Projekte durchgeführt. Arbeit und Ausbildung werden hier aber auch zu zentralen Bestandteilen humanitärer Hilfe für Flüchtlinge aus Syrien in den Anrainerstaaten. Wenn Sie mehr über das Netzwerk und seine Aktivitäten erfahren möchten oder Fragen und Anregungen haben, schreiben Sie uns. Diese Maßnahme (unter dem Dach des Archaeological Heritage Network – ArcHerNet und des Projektes „Stunde Null“) soll die Sicherung und Restaurierung des kulturellen Erbes in kriegszerstörten Städten des Mittleren Ostens vorbereiten und unterstützen. Das Projekt Stunde Null – Eine Zukunft für die Zeit nach der Krise ist das erste gemeinsame Projekt, das die Mitglieder des Archaeological Heritage Network, finanziert durch das Auswärtige Amt, 2016 ins Leben gerufen haben. Ziel ist, in konflikt- und krisengeschüttelten Ländern Kapazitäten und Grundlagen für die Zeit nach der Krise aufzubauen. Grundlegendes Modul des Projektes “Stunde Null – Eine Zukunft für die Zeit nach der Krise” ist die Erschließung von Informationen, die für die Vorbereitung von Wiederaufbaumaßnahmen notwendig sind. Das digitale 3D Modell des Basars von Aleppo dient als Maßnahme des Kulturerhalts und dem Aufbau einer Experten- und Nachwuchsgruppe. 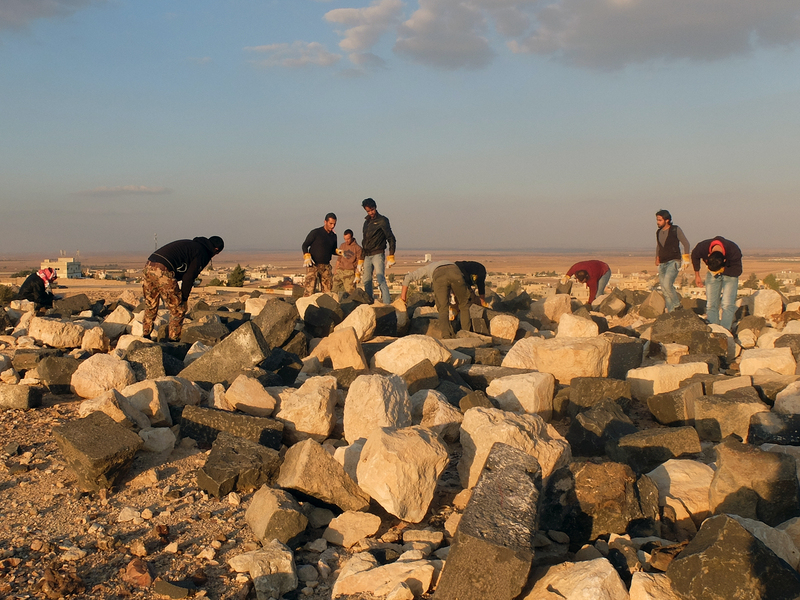 Das zweijährige Weiterbildungsprogramm Stewards of Cultural Heritage richtet sich an in die Türkei geflohene syrische Experten (Archäologen, Architekten und Denkmalpfleger). Finanziert wird die Durchführung im Rahmen von Stunde Null; die Trainees werden durch Stipendien der Gerda Henkel Stiftung unterstützt. Die Maßnahme im Rahmen von Stunde Null wird vom DAI in Kooperation mit dem Projekt „Emergency Safeguarding of the Syrian Cultural Heritage“ des UNESCO Field Office Beirut und dem Arab Center for Architecture in Beirut durchgeführt. 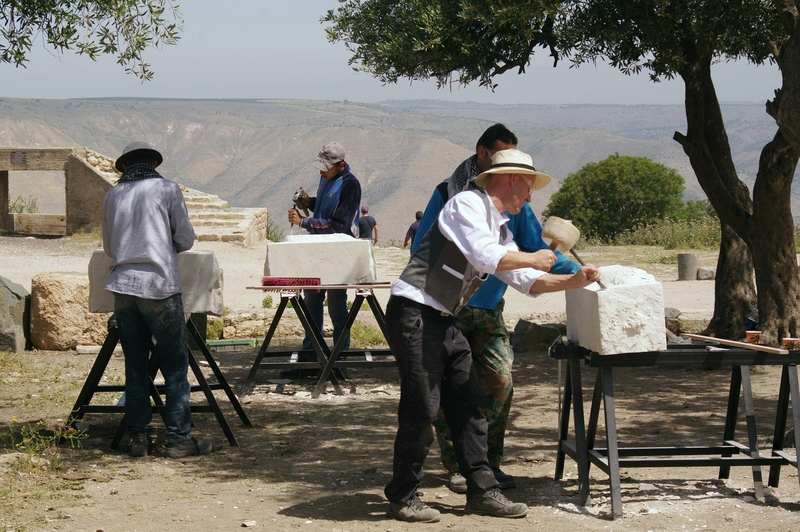 Der Masterstudiengang „Architectural Conservation“ an der German Jordanian University in Amman wurde 2016 eingeführt. Der Studiengang ermöglicht sowohl jordanischen als auch geflüchteten Studierenden eine akademische Qualifizierung im Bereich Bauforschung, Denkmalpflege und Kulturerhalt. Angesichts der immensen Herausforderungen im Kulturgüterschutz und Kulturerhalt in Krisenregionen ist es von entscheidender Wichtigkeit, rechtzeitig für die Ausbildung des Fachkräftenachwuchses zu sorgen. 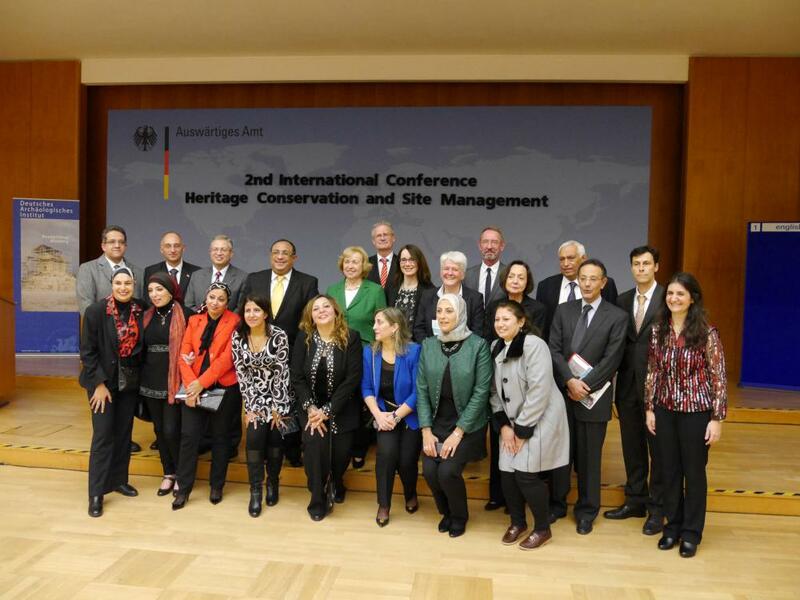 Hier setzt der Joint Master „Heritage Conservation and Site Management“ an, der von der BTU Cottbus-Senftenberg in Kooperation mit der Helwan University (Kairo) und mit Unterstützung des Deutschen Archäologischen Instituts und des Ägyptischen Antikenministeriums umgesetzt wird. Im Rahmen von „Stunde Null“ fand vom 30. Juni bis 2. Juli 2016 an der BTU Cottbus-Senftenberg das Colloquium „Guidelines on Safeguarding Cultural Significance of Urban Structures Damaged by Armed Conflict“ statt. Hier diskutierten internationale Experten über konkrete Handlungsempfehlungen für einen sensiblen Umgang mit kriegsbeschädigten historischen Städten. Gadara, das moderne Umm Qays, gilt als eines der bedeutendsten Kulturdenkmäler Jordaniens. Dort arbeitet das Deutsche Archäologische Institut schon seit vielen Jahren wissenschaftlich mit umfassenden Forschungsfragen, die auch Raumbeziehungen innerhalb der Stadt als auch ihre Einbettung in das Umland betreffen. Seit 2010 finden in diesem integrierten Kontext auch umfangreiche Initiativen zur Kultur- und Naturvermittlung statt. Am DAI wird bereits seit acht Jahren das “Iraqi-German Summer Programme” für irakische Studierende und Praktiker gemeinsam mit universitären und außeruniversitären Partnern durchgeführt. Wegen der starken Nachfrage von irakischer Seite befindet sich das Programm in der Erweiterungsphase zu einem Deutsch-Irakischen Zentrums zur Aus- und Fortbildung von Experten für den Kulturerhalt. Die Fortbildungsmaßnahme im Rahmen von „Stunde Null“ richtet sich an NachwuchsarchäologInnen und -ArchitektInnen der irakischen Antikenverwaltung. Sie wird durch die Außenstelle Baghdad der Orientabteilung des DAI im Südirak organisiert und durchgeführt. Theoretisches Wissen praktisch am Beispiel bedeutender Denkmale in Jordanien anzuwenden, ist Ziel der im Rahmen von „Stunde Null“ durchgeführten Trainingsmaßnahme. Sie richtet sich an Studierende jordanischer, syrischer und anderer Herkunft an zwei jordanischen Universitäten in Amman – der University of Jordan (JU) und der German Jordanian University (GJU). Die Trainingsmaßnahme im Rahmen von „Stunde Null“ wird vom IT-Referat des DAI in Kooperation mit dem Projekt „Emergency Safeguarding of the Syrian Cultural Heritage“ des UNESCO Field Office Beirut durchgeführt. 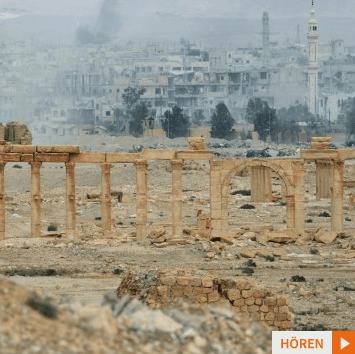 Sie baut auf dem Informationspool des Syrian Heritage Archive Project (SHAP) auf, einem Kooperationsprojekt des Museums für Islamische Kunst (SMP-SPK) und des DAI als wesentlicher Voraussetzung für jede Form von Damage Assessment und Planungsarbeiten zur Vorbereitung von Wiederaufbau sowie zum Schutz des kulturellen Erbes. 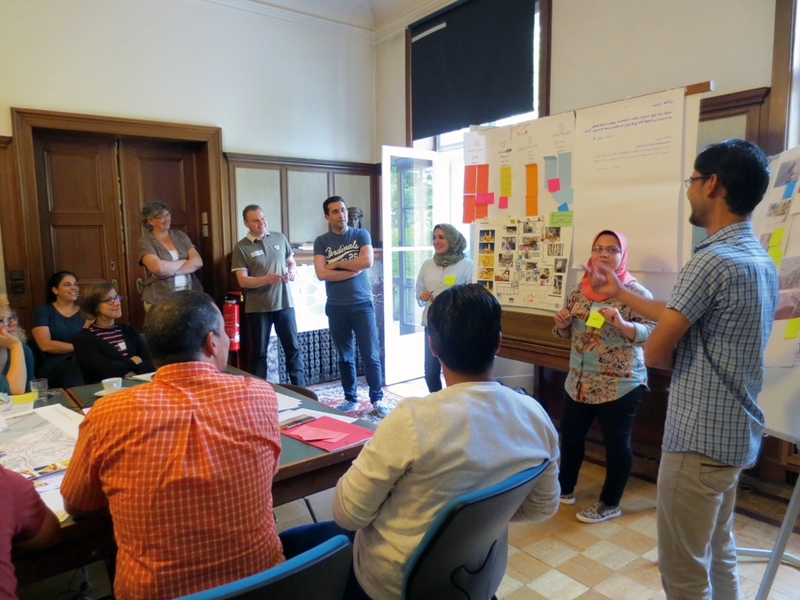 Intensivtraining der Hochschule für Technik und Wirtschaft Berlin (HTW-Berlin) für syrische RestauratorInnen und Museumspersonal in Kooperation mit dem UNESCO Field Office in Beirut durch. Der Kurs beinhaltete die Grundlagen der Präventiven Konservierung, u.a. Übungen zur Verpackung, zum Transport und zur Lagerung von Kulturgütern. Daneben werden Techniken der Dokumentation und des Monitorings, jeweils mit Fokus auf evakuierte Sammlungen, vermittelt. Das Trainingsprojekt zum Bauerhalt und zur Präsentation archäologischer Architektur wurde im Rahmen von ArcHerNet und des Projektes „Stunde Null“ Projektes von 2016-2018 durchgeführt. 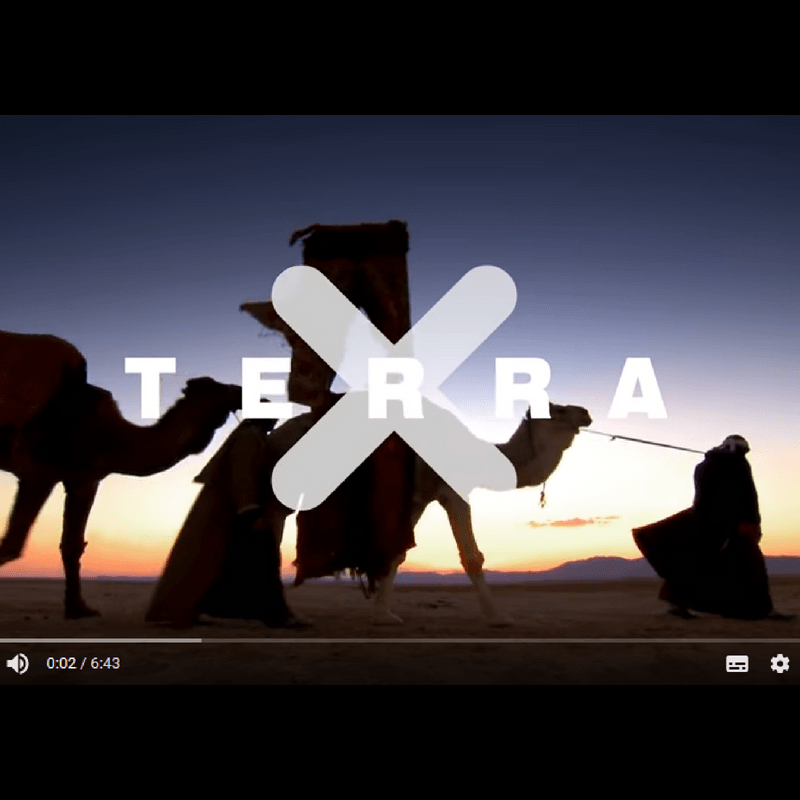 Das Fortbildungstraining im ‚Dokumentarfilmen‘ im Rahmen von „Stunde Null“ zielt auf das Erlernen von Techniken des Dokumentarfilmens zur Vermittlung von Themen wie kulturellem Erbe, archäologischer Erforschung und Konservierung. In Baalbek (Libanon) erstellten syrische Flüchtlinge und lokale Trainees, angeleitet von libanesischen und deutschen Experten eine filmische Dokumentation über die archäologische Stätte und aktuelle Konservierungsmaßnahmen. In Uruk (Irak) fand eine Schulung von irakischen Trainees durch irakische und deutsche Experten statt. 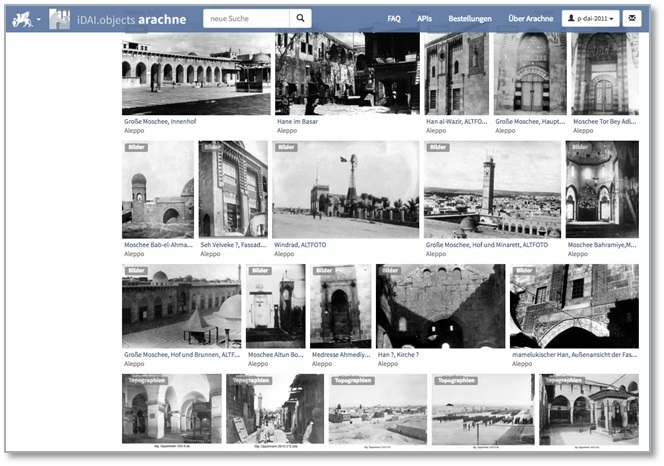 Das Projekt zur Schadensbewertung baut unmittelbar auf der bereits vorhandenen, umfangreichen Archivdatenbank des Syrian Heritage Archive Projects (SHAP) auf, einem Kooperationsprojekt des Museums für Islamische Kunst und des Deutschen Archäologischen Instituts, in dem bereits über 120.000 Fotos, Pläne und Karten zu syrischen Kulturgütern mit Mitteln des Auswärtigen Amts seit Herbst 2013 digitalisiert wurden. Syrische und internationale Wissenschaftler haben sich nun zusammengeschlossen, um das Syrian Heritage Archive Project um ein zentrales Modul zu bereichern. 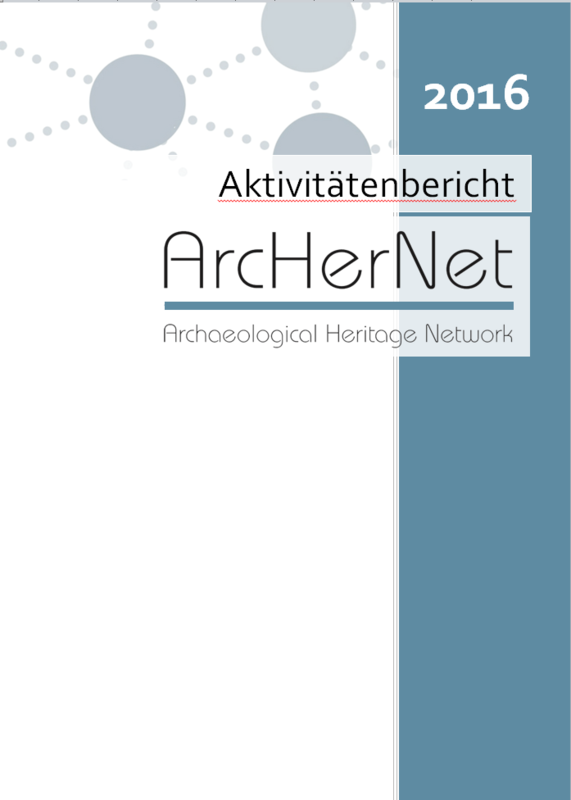 Das Expertennetzwerk „Archaeological Heritage Network“ ist keine neue Institution. Vielmehr geht es darum, vorhandene Kompetenzen zu bündeln und so die notwendigen Synergieeffekte zu schaffen. Die immer komplexer werdenden multilateralen Projekte erfordern gemeinsame Anstrengungen, auch wenn es gilt, auf internationaler Ebene erfolgreich Mittel einzuwerben und die Sichtbarkeit des deutschen Engagements zu steigern. Auch angesichts der aktuellen Lage in den Krisenregionen weltweit gewinnt das Thema Kulturerhalt täglich an Bedeutung. Dabei geht es nicht nur darum, unschätzbare Denkmäler zu erhalten, zu sichern und zu schützen, sondern auch darum, durch die Schaffung von Arbeitsplätzen wirtschaftliche Impulse zu setzen und so zur Stabilisierung in den Gast- und Partnerländern beizutragen. Auch die Diskurse über nationale und kulturelle Identitäten werden in einer rasch sich verändernden Welt komplizierter und mit ihnen die Entscheidungen darüber, welche Herangehensweise gewählt und welche Prioritäten beim Erhalt des kulturellen Erbes gesetzt werden sollen. Zahlreiche Fachleute der einschlägigen internationalen Netzwerke versprechen sich von einem starken deutschen Archaeological Heritage Network einen positiven Einfluss auf die Entwicklung profunder Konzepte im Kulturerhalt – was umgekehrt positive Rückkopplungseffekte auf Forschung, Lehre und Ausbildung in Deutschland haben würde. Vor diesem Hintergrund ist es unverzichtbar, den Ausbau dieser Kompetenzen voranzutreiben. Nur so kann die Basis für eine erfolgreiche Kulturerhaltarbeit im Ausland gewährleistet werden. 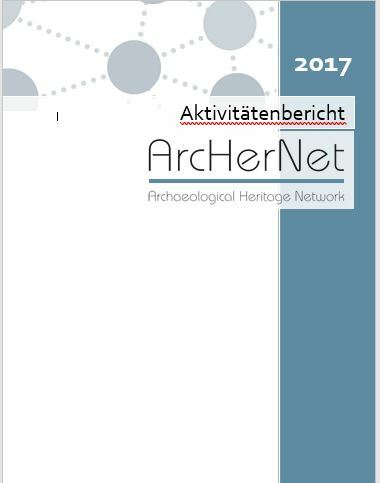 Das Archaeological Heritage Network (ArcHerNet) wurde als Kompetenznetzwerk am 27. April 2016 im Beisein des Außenministers Frank-Walter Steinmeier offiziell gegründet. Als erstes seiner Art bündelt es deutsche Kompetenzen im Bereich des Kulturerhalts und Kulturgüterschutzes im Ausland. Das vom Deutschen Archäologischen Institut koordinierte Netz ist erweiterbar angelegt. Der Baudenkmalausschuss des DAI ist ein Gremium aus externen Experten und leitenden DAI-Mitarbeitern, den Vorsitz hat die gewählte Vertreterin/der Vertreter der Bauforschung in der der Zentraldirektion des DAI. Aufgabe des Ausschusses ist die Betreuung und Beratung der Restaurierungsprojekte von Denkmälern im Bereich der DAI-Grabungen und -Projekte. Die Deutsche Stiftung Denkmalschutz ist die größte private Initiative für Denkmalpflege in Deutschland. Sie setzt sich bundesweit unabhängig für den Erhalt bedrohter Baudenkmale aller Arten ein. Die Deutsche Stiftung Denkmalschutz ist der größte private Fördergeber für Denkmalerhalt in Deutschland. Darüber hinaus ist sie ein Wissenszentrum für Denkmaltheorie und Denkmalpraxis. Die „DenkmalAkademie“ ist das Bildungsinstitut der Deutschen Stiftung Denkmalschutz zur berufsbegleitenden Weiterbildung in der Denkmalpflege. 11. Juli 1951. 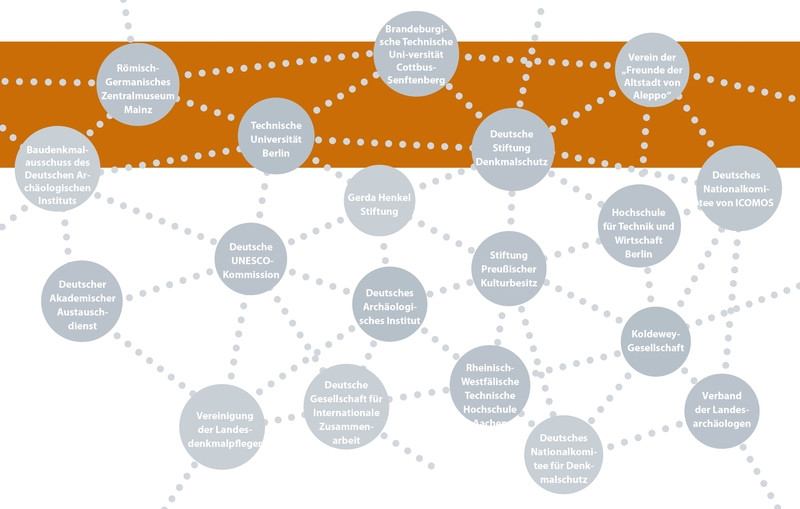 Die Deutsche UNESCO-Kommission ist Deutschlands Mittlerorganisation für multilaterale Politik in Bildung, Wissenschaft, Kultur und Kommunikation. Ihre Aufgabe ist es, die Bundesregierung, den Bundestag und die übrigen zuständigen Stellen in allen Fragen zu beraten, die sich aus der Mitgliedschaft der Bundesrepublik Deutschland in der UNESCO ergeben. Die DUK wird vom Auswärtigen Amt gefördert. Der DAAD ist die weltweit größte Förderorganisation für den internationalen Austausch von Studierenden und Wissenschaftlern. 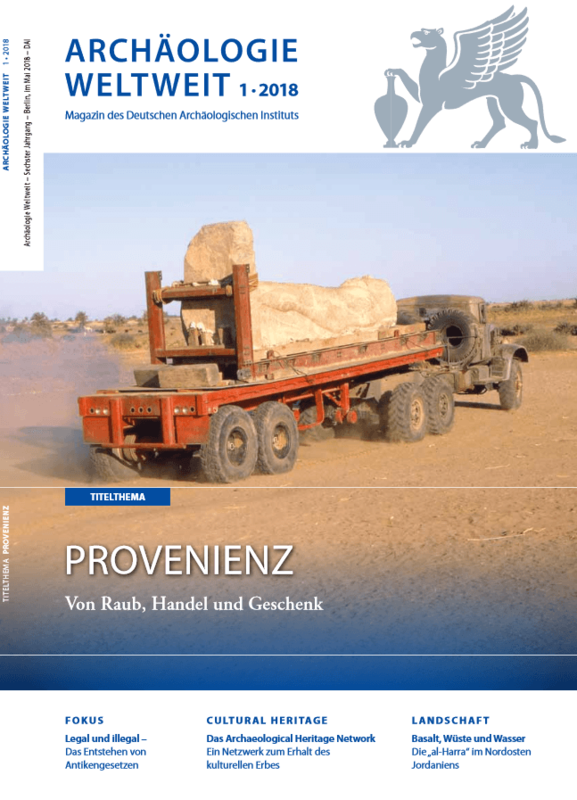 Die vom DAAD geförderten Studiengänge zu Bauforschung, Konservierung, Site Management oder Museologie, die gemeinsam von Universitäten in Deutschland, Ägypten und Jordanien durchgeführt werden, sollen für Zukunft diejenigen ExpertInnen ausbilden, die benötigt werden, in einer „Stunde Null“ die richtigen Entscheidungen zu treffen und konkret und fachgerecht handeln zu können. Der DAAD eröffnet, in Kooperation mit seinen Partnern British Council, Campus France und der niederländischen EP-Nuffic, syrischen Flüchtlingen in der Türkei, dem Libanon, Jordanien, dem Irak und Ägypten den Zugang zu Bildungsangeboten. Neben Sprachkursen und Kurzzeitstudienplätzen werden in der Region mehr als 300 Vollstipendien vergeben. Bis 2019 stehen hierfür zunächst 12 Millionen Euro zur Verfügung. Finanziert wird das Programm aus Mitteln des EU-Treuhandfonds für Syrien, dem „Madad Fund“. Das Deutsche Archäologische Institut ist ein 1829 in Rom gegründetes Forschungsinstitut und die einzige nachgeordnete Bundesanstalt im Geschäftsbereich des AA. Es hat seinen Sitz in Berlin und ist organisatorisch dem Arbeitsstab Kulturerhalt (AS-KE) zugeordnet. Seine Aufgaben sind wissenschaftliche Forschung auf dem Gebiet der Archäologie und ihrer Nachbarwissenschaften, Kulturerhalt und Schutz des kulturellen Erbes sowie Förderung des wissenschaftlichen Nachwuchses und des internationalen wissenschaftlichen Austausches. 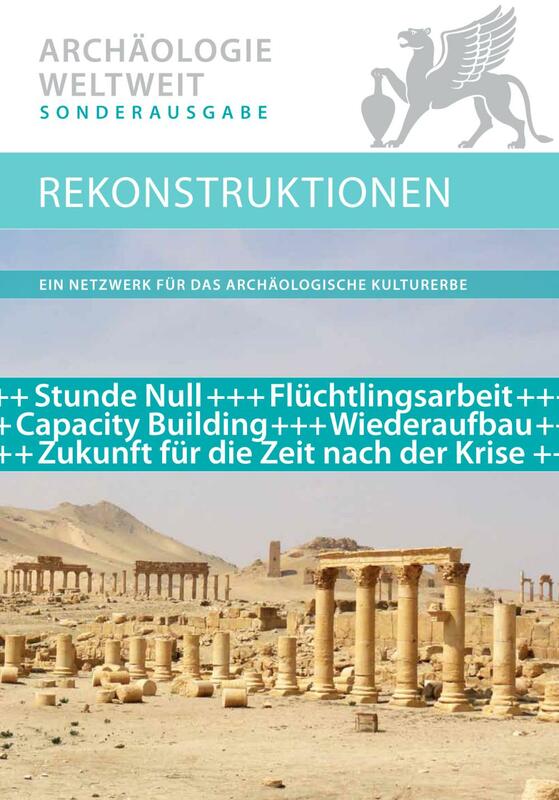 Das DAI koordiniert im Auftrag des AA das Archaeological Heritage Network (ArcHerNet) und ist weltweit in zahlreichen Maßnahmen im Bereich des capacity building und awareness raising aktiv. In Rom, Athen, Istanbul, Kairo, Madrid, Teheran, Sana’a, Bagdad, Damaskus und Peking unterhält das DAI Auslandsstandorte. Hinzu kommen die nicht dauerhaft besetzten Standorte Lissabon, Budapest und Ulaanbaatar sowie Inlandsstandorte in Berlin, Frankfurt, München und Bonn. Die DAI-Standorte sind mit ihren Bibliotheken und Forschungsarchiven bedeutende Zentren der internationalen archäologischen Forschung. Das DAI forscht zudem weltweit in bis zu 350 Projekten. DAI-Präsenz ist somit nicht auf die Länder beschränkt, in denen feste Auslandsstandorte unterhalten werden, sondern zeigt sich in einer Vielzahl von Ländern in Form von Projekten und institutionellen Kooperationen mit Universitäten, Denkmalämtern und Forschungseinrichtungen. Ein zentraler Baustein der Forschungsinfrastruktur des DAI sind die weltweit zugänglichen und nutzbaren digitalen Angebote der DAI-IT (iDAI.welt). Das DAI ist zudem ein weltumspannendes Gelehrtennetzwerk, da seine Zentraldirektion seit den Anfängen im 19. Jahrhundert international bedeutende Forscher und Kooperationspartner zu korrespondierenden Mitgliedern wählt. Durch seine Aktivitäten ist das DAI Träger eines interkulturellen Dialoges und fördert durch die Perspektiven auf die Vergangenheit das Verständnis von Identität und Kultur in einer globalisierten Welt. Das Deutsche Nationalkomitee für Denkmalschutz bildet seit seiner Gründung im Jahr 1973 auf Bundesebene eine Klammer um die wesentlich föderal geprägte Denkmalpflege. Bund, Länder, Gemeinden, Kirchen, Fachorganisationen, Vereine und private Bürgerinitiativen arbeiten im Deutschen Nationalkomitee für Denkmalschutz zusammen: eine nationale Schnittstelle und Plattform für die Belange des Denkmalschutzes, der Baudenkmalpflege und der archäologischen und erdgeschichtlichen Denkmalpflege als kulturelle und gesellschaftliche Kernaufgabe in Deutschland. Das DNK beeinflusst als fachliches und politisches Gremium maßgeblich die Denkmalpolitik in Deutschland und ist Schnittstelle zwischen Fachebene, Regierungen und Verwaltungen. 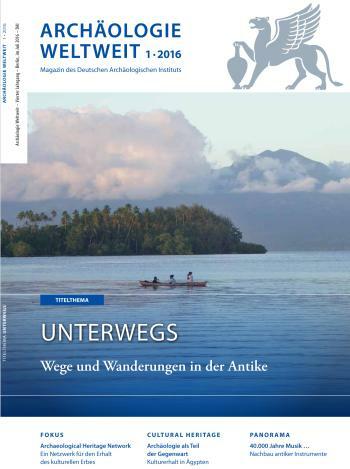 ICOMOS ist die internationale nichtstaatliche Organisation, die sich weltweit für Schutz und Pflege von Denkmälern und Denkmalbereichen und die Bewahrung des historischen Kulturerbes einsetzt. ICOMOS beteiligt sich als Berater und Gutachter an der Arbeit des Welterbe-Komitees und an der Erfüllung der UNESCO-Konvention zum Weltkulturerbe. Nationalkomitees bestehen bereits in mehr als 120 Ländern, und ICOMOS hat außerdem mehr als 25 internationale Wissenschaftliche Komitees. Das deutsche Nationalkomitee von ICOMOS setzt sich auf nationaler und internationaler Ebene für die Erhaltung von Denkmälern, Ensembles und Kulturlandschaften ein. Die Gerda Henkel Stiftung ist eine der größten Wissenschaftsstiftungen in Deutschland. Sie fördert seit ihrer Gründung im Sommer 1976 Forschungen auf dem Gebiet der Historischen Geisteswissenschaften. Bisher konnten weltweit rund 6000 Forschungsvorhaben mit über 120 Millionen Euro unterstützt werden. Die Kernbereiche der Fördertätigkeit – Unterstützung von Forschungsprojekten sowie Vergabe von Promotions- und Forschungsstipendien – sind immer wieder um weitere Förderungsinitiativen erweitert worden. Dazu gehören auch Sonderprogramme wie „Sicherheit, Gesellschaft und Staat“ und „Islam, moderner Nationalstaat und transnationale Bewegungen“. Derzeit werden in verschiedenen Fördervorhaben gefährdete und geflohene WissenschaftlerInnen unterstützt. Für die Jahre 2015 und 2016 stehen hierfür zwei Millionen Euro für Forscher in Krisengebieten bereit. Dabei gelten die Förderungen einerseits lokalen Akteuren, die Projekte zum Kulturerhalt in ihren Heimatländern entwickeln und umsetzen wollen. Andererseits sollen nach Deutschland geflohene WissenschaftlerInnen über Stipendienangebote ihre akademische Ausbildung fortsetzen können. Die GIZ ist ein weltweit tätiger Dienstleister der internationalen Zusammenarbeit für nachhaltige Entwicklung mit mehr als 50 Jahren Erfahrung in unterschiedlichen Feldern, von der Wirtschafts- und Beschäftigungsförderung über Energie- und Umweltthemen bis hin zur Förderung von Frieden und Sicherheit. Capacity Development gehört zu den Kernaufgaben des Unternehmens und seiner Vorgängerorganisationen. Die GIZ berät weltweit Menschen und Organisationen bei Lern- und Veränderungsprozessen und unterstützt Menschen dabei, Fachwissen sowie Handlungs- und Steuerungskompetenz zu erwerben. Die größte Berliner Hochschule für angewandte Wissenschaften bietet mit rund 70 Studienangeboten in den Bereichen Technik, Informatik, Wirtschaft, Kultur und Gestaltung ein weites Fächerspektrum. Die HTW Berlin verfügt mit ihren Studiengängen Konservierung und Restaurierung/Grabungstechnik, Museologie und Dokumentation sowie Landschaftsarchäologie über eine langjährige Expertise beim Schutz von Kulturgütern. Die Koldewey-Gesellschaft versteht sich als Akademie wissenschaftlichen Austauschs für alle Gebiete baugeschichtlicher Forschung bis hinein ins 20. Jahrhundert. Ihre Ziele sind die Förderung und Pflege von Arbeiten auf allen Gebieten der Bauforschung und Ausgrabung sowie die Mitwirkung bei Fragen der Kunst- und Denkmalpflege, die Beteiligung geschulter ArchitektInnen an solchen Forschungen in mitverantwortlicher Leitung, die Ausbildung auf dem Gebiet der Bauforschung, die Aufnahme und Pflege ausländischer Verbindungen mit dem Ziel einer internationalen Zusammenarbeit. Die Rheinisch-Westfälische Technische Hochschule Aachen ist mit rund 43.000 Studierenden eine der größten Technischen Universitäten in Deutschland. An der Fakultät für Architektur hat sich ein Verbund-Forschungsfeld zur Aufgabe gemacht, zur nachhaltigen Sicherung des kulturellen Erbes insbesondere in Zeiten forcierter Urbanisierung beizutragen – im Spannungsfeld der Entstehung von Neuem, das die im Gebauten überkommenen Werte und Qualitäten respektiert und fortschreibt. An der RWTH ist zudem ein UNESCO-Chair für Stadt- und Kulturlandschaften im Welterbe angesiedelt. Das Römisch-Germanische Zentralmuseum (RGZM) ist eine international tätige Forschungseinrichtung für Archäologie. Auf der Grundlage aller verfügbaren Quellen erforscht es den Menschen und dessen Handeln in seinem natürlichen und kulturellen Umfeld, von der Menschwerdung in der Altsteinzeit bis in das Mittelalter. Dabei verbindet es Geistes- und Naturwissenschaften unter Einbeziehung seiner restaurierungstechnischen Expertise in einem interdisziplinären Ansatz. Das RGZM ist ein Forschungsmuseum der Leibniz-Gemeinschaft und verfügt über eine lange Tradition in der Ausbildung von RestauratorInnen in seinen bedeutenden Werkstätten. Unter dem Dach der Stiftung Preußischer Kulturbesitz sind u.a. die Staatlichen Museen Berlin mit ihren großen Sammlungen als kulturelle Archive sowie mit ihrer umfassenden Expertise im Bereich der Vermittlung, Restaurierung und Konservierung zusammengeschlossen. Eines dieser Museen ist das Museum für Islamische Kunst. Es gehört zu den bedeutendsten und, nach dem Museum für Islamische Kunst in Kairo, ältesten Sammlungen seiner Art. Das Museum für Islamische Kunst ist eine der führenden Forschungseinrichtungen auf ihrem Gebiet und engagiert sich in den Bereichen Restaurierung, Kulturerbeschutz in den Herkunftsländern, internationaler Kulturaustausch und (inter-)kulturelle Bildung in Deutschland. Der Verband der Landesarchäologen wurde 1949 gegründet. Ihm schlossen sich nach der Wiedervereinigung 1989 die Landesarchäologen der neuen Bundesländer an. Ziel des Verbandes ist es, den Vertretern der Landesarchäologien eine gemeinsame bundesweite Plattform für den Erfahrungsaustausch und die fachliche Diskussion zu Fragen der archäologischen Denkmalpflege zu bieten. Der Vorstand des Verbandes vertritt die Interessen der archäologischen Denkmalpflege bei verschiedenen Gremien, so z. B. im Deutschen Nationalkomitee für Denkmalschutz (DNK) und bei der Ständigen Konferenz der Kultusminister der Länder in der Bundesrepublik Deutschland (KMK). 1990 wurde in Stuttgart der Verein „Freunde der Altstadt von Aleppo“ gegründet. Ziel der deutsch-syrischen Initiative war es, dazu beizutragen, menschenwürdige Wohnungen in der Altstadt zu schaffen und dabei die Altstadt zu erhalten. Die seit Bestehen des Vereins gewährte finanzielle Unterstützung ermöglichte es zahlreichen Bewohnern, zumindest die wichtigsten Reparatur- und Instandhaltungsarbeiten an ihren Wohnhäusern vornehmen zu können. Im Zuge der kriegerischen Auseinandersetzungen hat sich nun eine Arbeitsgruppe gebildet, die sich zum Ziel gesetzt hat, den Wiederaufbau der Altstadt Aleppos im Dialog mit der Neustadt zu entwickeln. 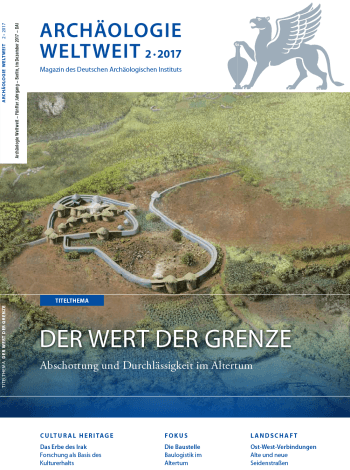 Einbezogen werden Altstadtbewohner Aleppos, die früheren Beteiligten des Altstadtsanierungsprojektes (GIZ) sowie Stadtplaner, Architekten, Archäologen und Handwerker. Die Vereinigung der Landesdenkmalpfleger gründete sich 1951 unter dem Dach der Kultusministerkonferenz (KMK) als länderübergreifende Vereinigung der westdeutschen Denkmalfachbehörden. Ihr schlossen sich nach 1989 auch die Denkmalfachbehörden der östlichen Bundesländer an. Seit 200 Jahren ist es die Aufgabe der staatlichen Denkmalpflege, das historische Erbe für nachfolgende Generationen zu erhalten. Die wissenschaftliche Erfassung der Bau- und Kunstdenkmale setzte 1870 mit dem Denkmalinventar für die Provinz Hessen-Kassel ein. Ein Meilenstein war der erste deutsche Denkmaltag 1900 in Dresden. Die Tradition der Denkmaltage wird heute mit den Jahrestagungen der Vereinigung der Landesdenkmalpfleger fortgeführt. 1899 wurde die Zeitschrift „Die Denkmalpflege” begründet, die bis heute über die Arbeit der Denkmalpflege in den deutschen Bundesländern berichtet. The Archaeological Heritage Network is a network of experts. It is not a new institution. The idea is rather to harness existing expertise and thereby to produce the necessary synergies. Multilateral projects are becoming ever more complex and require joint exertions, be it with regard to fundraising at international level or drawing greater attention to Germany’s involvement in this field. Cultural preservation as a topic has been gaining importance daily, not least due to the current situation in the Middle Eastern crisis zones. The „Baudenkmalausschuss des Deutschen Archäologischen Institutes“ is a panel of external experts and leading staff of the German Archaeological Institute (DAI). The panel is chaired by the elected representative of the building research department of the Central Head Office of DAI. Main task of the panel are the support and the consultation of conservation projects of DAI excavations and other DAI projects. It is independent nationwide for the preservation of endangered monuments of all kinds. The German Foundation for Monument Protection is the largest private sponsor for preservation of monuments in Germany. In addition, it is a knowledge center for the theory of monuments and monument practice. 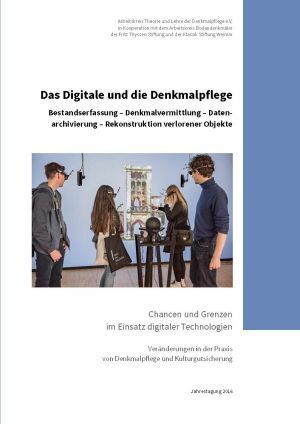 The “DenkmalAkademie” is the educational institute of the “Deutschen Stiftung Denkmalschutz” for extra occupational further education in the preservation of monuments. July 11, 1951. The German Commission for UNESCO is Germany’s intermediary organization for multilateral politics in education, science, culture and communication. Its task is to advise the Federal Government, the Bundestag and the other competent authorities on all issues arising from the membership of the Federal Republic of Germany in UNESCO. The DUK is funded by the Federal Foreign Office. The DAAD is the world’s largest funding organization for the international exchange of students and scientists. 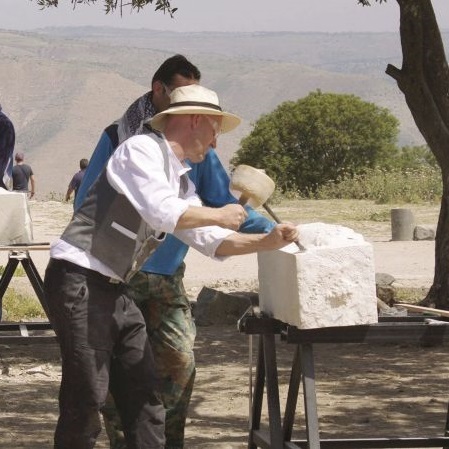 The study programs on building research, conservation, site management or museology, which are funded by the DAAD and run jointly by universities in Germany, Egypt and Jordan, are to train for the future those experts who are required to make the right decisions in an “hour zero” and be able to act concretely and professionally. The DAAD, in cooperation with its partners British Council, Campus France and the Dutch EP-Nuffic, opens Syrian refugees in Turkey, Lebanon, Jordan, Iraq and Egypt access to education. In addition to language courses and short-term study places, more than 300 full scholarships are awarded in the region. Initially, 12 million euros will be available by 2019. The program is funded by the EU Trust Fund for Syria, the “Madad Fund”. The German Archaeological Institute is a research institute founded in Rome in 1829 and the only subordinate federal institution in the business area of the Federal Foreign Office. It has its seat in Berlin and is organisationally assigned to the working group culture preservation (AS-KE). Its tasks are scientific research in the field of archeology and its neighboring sciences, cultural preservation and protection of cultural heritage as well as promotion of young scientists and international scientific exchange. The DAI coordinates the Archaeological Heritage Network (ArcHerNet) on behalf of the Federal Foreign Office and is active worldwide in numerous measures in the area of capacity building and awareness raising . In Rome, Athens, Istanbul, Cairo, Madrid, Tehran, Sana’a, Baghdad, Damascus and Beijing, the DAI maintains overseas departments. In addition, there are the not permanently occupied departments Lisbon, Budapest and Ulaanbaatar as well as national departments in Berlin, Frankfurt, Munich and Bonn. The DAI sites, with their libraries and research archives, are major centers of international archaeological research. The DAI also conducts research in up to 350 projects worldwide. DAI presence is thus not limited to the countries in which foreign departments are maintained, but is reflected in a large number of countries in the form of projects and institutional cooperations with universities, monument offices and research institutions. A central component of the research infrastructure of the DAI is the DAI-IT (iDAI.welt) digital services available and usable worldwide. The DAI is also a global scholarly network, since its central directorate has chosen internationally important researchers and cooperation partners as corresponding members since its beginnings in the 19th century. Through its activities, the DAI promotes intercultural dialogue and promotes the understanding of identity and culture in a globalized world through perspectives on the past. ICOMOSis the international non-governmental organization that works worldwide for the protection and preservation of monuments and heritage sites and the preservation of historical heritage. ICOMOS participates as a consultant and appraiser in the work of the World Heritage Committee and in the fulfillment of the UNESCO World Heritage Convention. National committees already exist in more than 120 countries, and ICOMOS also has more than 25 international scientific committees. The German National Committee of ICOMOS is committed to the preservation of monuments, ensembles and cultural landscapes on a national and international level. The Gerda Henkel Foundation is one of the largest science foundations in Germany. Since its founding in the summer of 1976, it has been promoting research in the field of historical humanities. So far, around 6000 research projects with more than 120 million euros have been supported worldwide. The core areas of funding activities – support for research projects and the awarding of doctoral and research scholarships – have repeatedly been extended to include further funding initiatives. These include special programs such as “Security, Society and the State” and “Islam, modern nation-state and transnational movements”. Currently, various funding projects support endangered and fledged scientists. For the years 2015 and 2016, two million euros are available for researchers in crisis areas. On the one hand, the subsidies apply to local actors who want to develop and implement cultural preservation projects in their home countries. On the other hand, scientists who have fled to Germany should be able to continue their academic education through scholarship offers. Die GIZis a global service provider of international cooperation for sustainable development with more than 50 years of experience in various fields, from economic and employment promotion to energy and environmental issues to promoting peace and security. Capacity development is one of the core tasks of the company and its predecessor organizations. GIZ advises people and organizations worldwide on learning and change processes and supports people in acquiring specialist knowledge as well as action and steering competence. The largest Berlin University of Applied Sciences offers a wide range of subjects with around 70 study programs in the fields of technology, computer science, business, culture and design. The HTW Berlin has many years of expertise in the protection of cultural assets with its degree programs Conservation and Restoration / Excavation Technique, Museology and Documentation as well as Landscape Archeology. The “Römisch-Germanische Zentralmuseum” (RGZM) is an international research institution for archeology. On the basis of all available sources, it explores man and his actions in his natural and cultural environment, from the Paleolithic to the Middle Ages. In doing so, it combines the humanities and natural sciences with the inclusion of its restoration expertise in an interdisciplinary approach. The RGZM is a research museum of the Leibniz Association and has a long tradition of training conservators in its major workshops.. The “Verband der Landesarchäologen” was founded in 1949. After the German reunification in 1989, the state archaeologists of the new federal states joined the association. The aim of the association is to offer the representatives of the state archaeologists a common nationwide platform for the exchange of experience and technical discussion on questions of archaeological preservation of monuments. The board of the association represents the interests of the archaeological preservation of monuments at various committees, as eg. in the “Deutsches Nationalkomittee für Denkmalpflege”(DNK) and at the “Ständige Konferenz der Kultusminister der Länder in der Bundesrepublik Deutschland”(KMK). 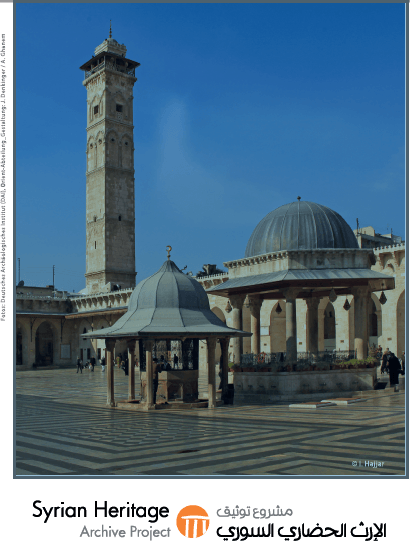 In 1990 the association “Friends of the Old Town of Aleppo” was founded in Stuttgart. 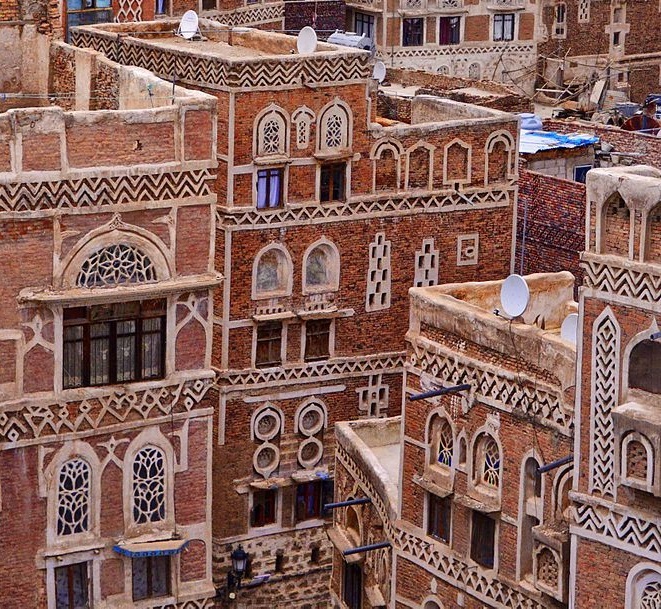 The aim of the German-Syrian initiative was to help create decent housing in the old town while preserving the old town. The financial support granted since the foundation of the association made it possible for many residents to undertake at least the most important repairs and maintenance work on their homes. 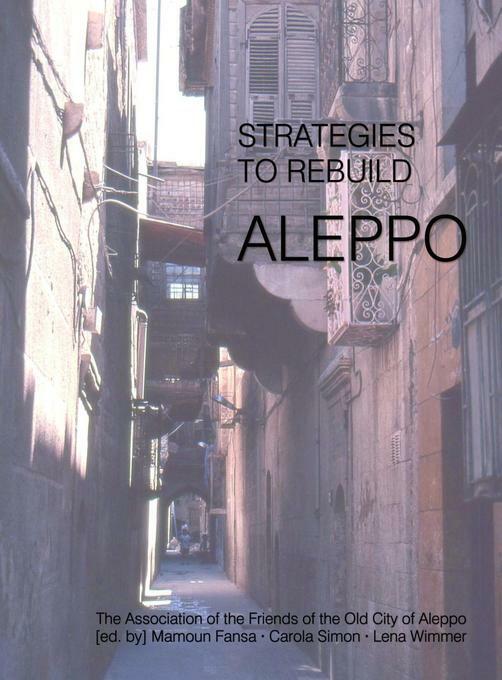 In the course of the armed conflicts, a working group has now formed, which has set itself the goal of developing the reconstruction of the old city of Aleppo in dialogue with the New Town. The inhabitants of the old part of town Aleppos, the former participants of the old town redevelopment project (GIZ) as well as city planners, architects, archaeologists and craftsmen are included. The “Vereinigung der Landesdenkmalpfleger” was founded in 1951 under the umbrella of the “Kultusministerkonferenz” (KMK) as a transnational association of the West German monument specialist authorities. The association of national state conservators was joined after 1989 by the conservation authorities of the eastern states. For 200 years, it has been the task of state preservation to preserve the historical heritage for future generations. The scientific registration of the building and art monuments began in 1870 with the monument inventory for the province of Hesse-Kassel. A milestone was the first German Monument Day 1900 in Dresden. The tradition of monuments days continues today with the annual meetings of the “Vereinigung der Landesdenkmalpfleger”. In 1899 the magazine „Die Denkmalpflege” was founded, which reports to this day on the work of preservation of monuments in the German federal states.